Is now the right time for you to buy a home? You have many options to consider and choices to make. Buying a home is a big responsibility, financially and emotionally, but most people want to own a home. Home-ownership often is referred to as “the American dream.” Why is it so special? Among the reasons: Real estate often is an excellent investment, perhaps the number one source of wealth—building for families. Owning a home has many benefits. When you make a mortgage payment, you are building equity – and that’s an investment. Owning a home also qualifies you for tax benefits that may assist you in dealing with your new financial responsibilities — such as homeowners‘ insurance, real estate taxes, and upkeep – which can be substantial. But given the freedom, stability, and security of owning your own home, they are definitely worth it! Owning your own home also can be a great source of pride and stability. But homeownership may not be for everyone. Home Owner Association (HOA) Fee if applicable. One of the advantages of renting is being generally free of most maintenance responsibilities and moving almost as soon as you decide. But by renting, you lose the chance to build equity, take advantage of tax benefits, and protect yourself against rent increases. Also, you may not be free to decorate without permission and may be at the mercy of the landlord for your housing needs. Because of our several years of experience and a rolodex full of satisfied clients, Fairfax Mortgage Investment brokers pride ourselves on the ability to provide assistance in our local market. 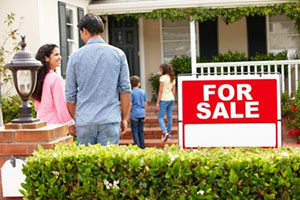 We are here to assist with acquiring your home with proper financing when you are ready to buy. If you would like to learn more regarding how to finance a home after renting does not seem like the best option anymore, please call or reach out to us using the contact form with any questions. We would be glad to help.